Australia has strict laws relating to the protection of Australia’s environment including pollution laws. Companies and individuals are often prosecuted by the EPA for breaches of the Nature Conservation Act 1992, the Recreation Areas and Management Act 2006 and other relevant legislation. The Department of Environment and Heritage Protection regularly prosecutes people for contraventions of these laws. Although the charges themselves may not be considered serious by the individual, large fines can be imposed both upon people, and the companies that they represent. These agencies employ highly skilled investigators to assist in bringing charges against people, and corporations. As the investigators are not police, individuals often do not appreciate the seriousness of the investigations. People also do not realise that there are rights afforded to them that are similar to those available during a Police investigation. You should seek immediate advice from Fisher Dore Lawyers should a representative from this agency contact you about an alleged breach of the Environmental Heritage standards. The Department of Agriculture is responsible for the Quarantine laws relating to border control, and preventing exotic pests and diseases from entering the country. Breaches of these laws are referred to the Commonwealth Director of Public Prosecutions to determine whether or not to prosecute individuals and/or companies. These offences are serious and often result in hefty fines and actual periods of imprisonment. If you are contacted by an investigator from this agency to provide a statement or participate in an interview, you should seek our advice immediately. The Australian Security and Investment Commission prosecute people for a variety of breaches of the Corporations Act. They prosecute individuals who are alleged to have continued to act as an officer of a company after liquidators are appointed. They also investigate people who fail to assist insolvency practitioners to administer a failed company by not providing a report as to the affair of the company, company books, records and assistance when requested. The Commission may also investigate the company officers themselves for allegations relating to failing to comply with the ASIC registers in relation to their companies and company officers. These sorts of charges are considered very serious by the Courts, and often lead to significant fines and sometimes periods of imprisonment. Workplace Health and Safety Queensland (WHSQ) prosecutes those alleged to have breached the Workplace Health and Safety Act. Prosecutions of this kind often attract public and media attention. This is in an attempt to act as a deterrent to others. Offences can include reckless conduct, and breaching of duties. Penalties for breaches of this Act range from fines to imprisonment. Individuals who are in receipt of Workcover payments must adhere to strict guidelines with respect to paid and unpaid work. Offences can include returning to work without notifying Workcover, attempting to defraud, or actually defrauding Workcover, and failing to disclose additional work undertaken. We often see people who do not appreciate the severity of this offending, or that they have even committed an offence. The courts view these offences very seriously, and in addition to the penalties imposed, often order restitution and prosecution costs to be paid by the individual. The penalties range from hefty fines to imprisonment. The maximum penalties for Workcover fraud are $55,000.00 fine or 5 years imprisonment. The Australian Tax Office has a serious tax crime and prosecutions department and they have been vigilant in recent years in prosecuting people for what they consider serious tax offences. These have seen people receive periods of lengthy imprisonment. Should you receive notification with the Australian Tax Office that you are being investigated, you should seek expert advice as a matter of urgency. Any investigation or charge can have grave consequences for your future, and the future of your family. 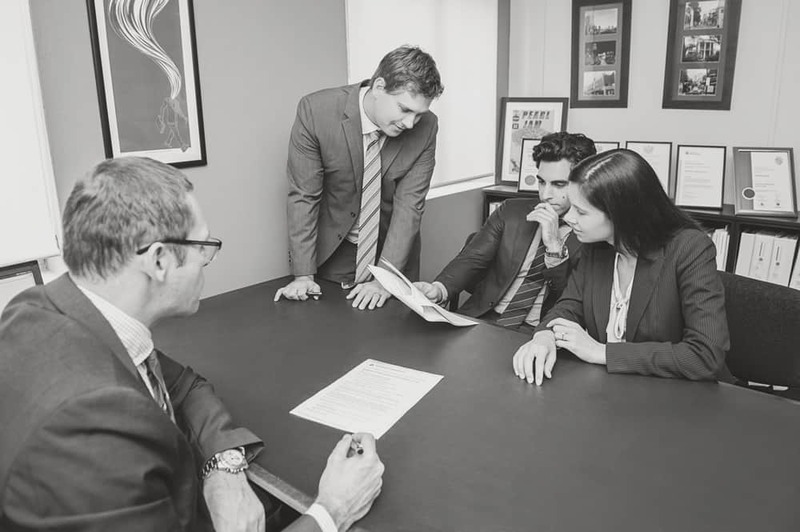 We know this because we have extensive experience representing clients charged with the above offences. We will be with you every step of the way. From initial investigations through to the final court stages, our expert solicitors will protect your rights and ensure the best outcome is achieved.